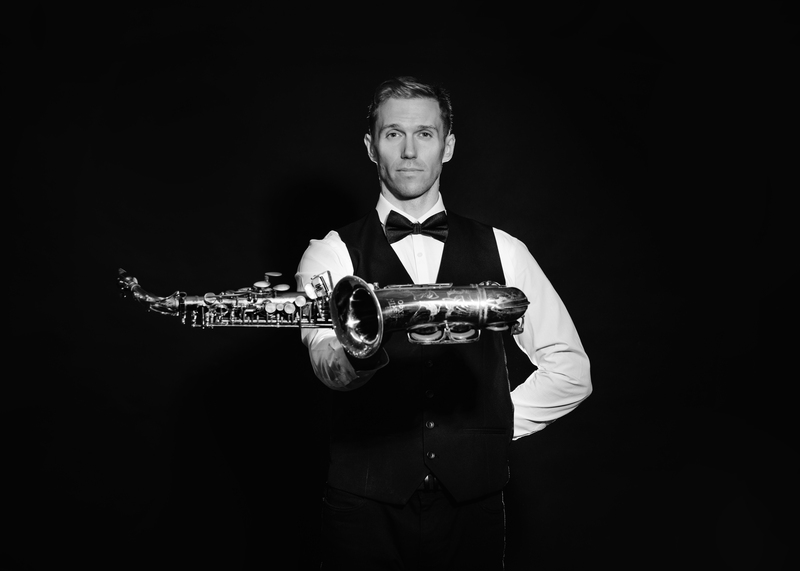 Spencer Sax is an award winning saxophone player with a dynamic performing presence. If it’s bright costumes, electric energy on stage, soaring sax and charming charisma you’re looking for, look no further. Spencer was ringmaster and vocalist of the world famous Gifford’s Circus from 2015-2017 and you will see this flamboyant Hugh Jackman inspired presentation throughout his shows. Spencer’s shows are full of flair, fun and family friendly! 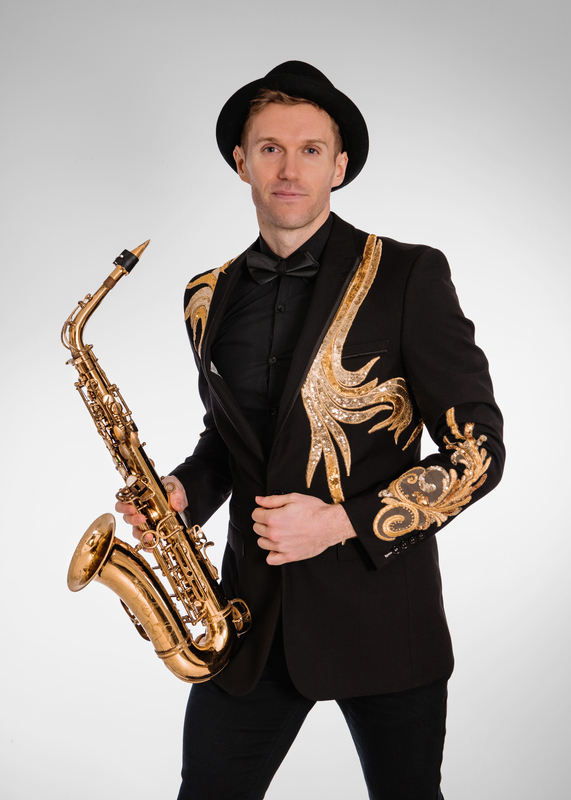 Spencer Sax is an award winning saxophone player with a dynamic performing presence. If it’s bright costumes, electric energy on stage, soaring sax and charming charisma you’re looking for, look no further. He has performed with Supertramp and Michael Ball both nationally and internationally as well as performing his own headline show around the world for the past 8 years. He was a winner of the Trevor Wye Memorial Prize in 2009 & 2010, a Park Lane Group Young Artist for 2010, a finalist of both the Royal Overseas League and the Tunnel Trust in 2010 as well as becoming a selected artist for Making Music Concert Promoters Network in 2012. Tonight, Spencer Sax plays everybody’s favorite Sax melodies throughout the generations. Everybody will be jiving in their seats to Glenn Miller. Then the kids will be singing along to The Simpsons and then clicking their fingers along to The Pink Panther. Mum and Dad will be playing air guitar to Baker Street and Dire Straits. No sax melody is left out and it really is a celebration of everybody’s favorite instrument. Award winning Spencer Sax returns tonight to play everybody’s favourite songs on the sax. Spencer has been wowing audiences internationally since he was 10, performing with the likes of Supertramp and Michael Ball. This show features some of the all-time greats such as Whitney Houston, Stevie Wonder, Sting, the Beatles right through to the likes of Ed Sheehan, Adele and Sam Smith. Spencer’s dynamic performance style and brilliant saxophone playing are sure to impress.